While the event will not be televised until March 5, the show’s producers at TVOne posted footage of Clinton’s speech on YouTube following her appearance. “Presidential hopeful Hillary Clinton makes a surprise visit to the Stellar Awards!” the video description reads. During her brief, one-minute talk, Clinton told those gathered that gospel music provides a source of encouragement to those who are experiencing difficult times. Clinton then quoted from the hymn “His Eye Is on the Sparrow” as attendees cheered and clapped enthusiastically. “I sing because I’m happy. I sing because I’m free. For His eye is on the sparrow, and I know He’s watching me,” Clinton recited. As the Democratic candidate concluded her speech, one woman yelled out “President Clinton!” and others again cheered loudly. 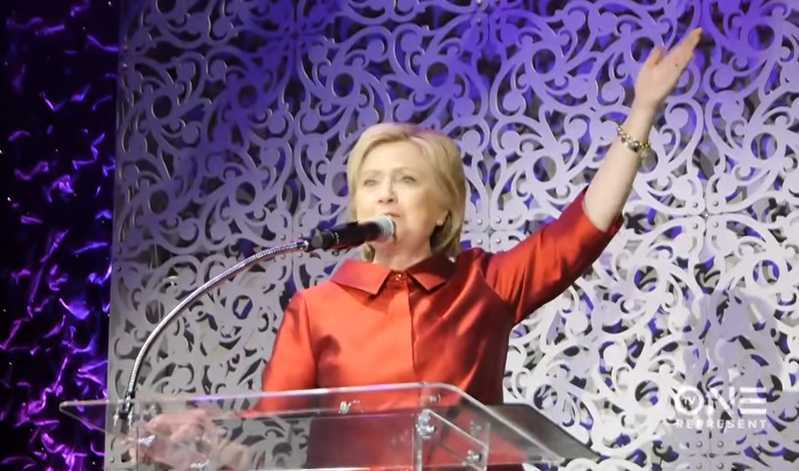 As previously reported, last month, dozens of African American “pastors” from across the nation gathered at Philadelphia’s Mother Bethel African Methodist Episcopal Church where they laid hands on Clinton to “decree and declare the favor of the Lord” on her for the presidency. “Until He comes again, Secretary Clinton and President-to-be Clinton, we decree and declare from the crown of your head to the soles of your feet that the favor of the Lord will surround you like a shield, in Jesus’ name,” the clergy said, repeating after Kirbyjon Caldwell, who leads Windsor Village United Methodist Church in Houston. However, some ministers nationwide have spoken out against Hillary Clinton, noting that her beliefs and policies run contrary to the word of God.